In part of my training as a Marine, they taught us to dig a foxhole big enough for two to oppose the enemy. When you fight alone, you could get scared and give up. But when you fight alongside another, you do so with great courage and renewed strength. When I reflect on Insight for Living Ministries’ last 36 years, I thank God for readers and listeners like you who have gotten in the foxhole with us. You are among our friends who’ve made us a braided cord, not easily broken…partners who’ve enabled us to proclaim the Good News to a needy world. I am grateful for each and every one of you! Our objective has always been to communicate the truths of Scripture and the person of Jesus Christ in an accurate, clear, and practical manner so that people will come to an understanding of God’s plan for their lives. Our objective remains unchanged, and our resolve to fulfil Jesus’ Great Commission is stronger than ever. We’re advancing to cover the globe with the Gospel of Jesus Christ. God is opening more doors than ever before. Why? Because He is committed to His plan—to make disciples “in Jerusalem, and in all Judea and Samaria, and…the remotest part of the earth” (Acts 1:8 NASB). In the last 36 years, we have proclaimed God’s Word in house churches, country kitchens, and commuting cars around the world from Beijing, China, to Frisco, Texas. Will you join us as we journey forward? 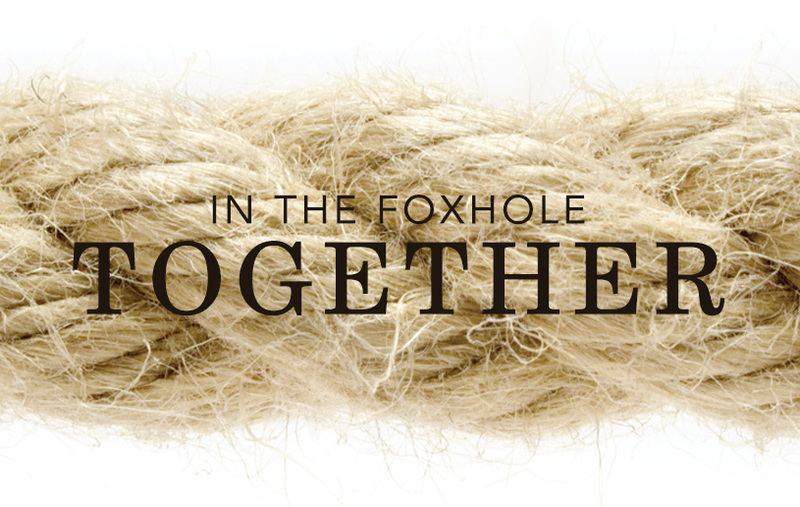 Let us know you’re in the foxhole beside us by sending a generous donation today. Together, we can be an even stronger cord united in advancing God’s command to reach and win a lost and needy world.